The Faculty of Classic and Modern Philologies at Sofia University "St.Clement Ohridski"
FCML at Sofia University "St. Clement Ohridski"
The Faculty of Classic and Modern Languages (FCML) at Sofia University "St.Clement Ohridski" is located in the very center of Sofia – 15, "Tzar Osvoboditel" Blvd. FCML is the only faculty in Bulgaria where 40 foreign languages are taught! Only people with highest total marks are enrolled at the Scandinavian Studies Section of the faculty. All available places for students in this major are occupied with the first round of the annual university admissions and the marks that grant admission in this major are higher than the traditionally most wanted majors in Sofia University. The inception of Scandinavian Studies as an academic discipline at Sofia University responded to the vivid interest of our community in the languages and culture of the vast region of the European continent, generally known as the Scandinavian North. The idea for establishing a Department of Scandinavian Studies within the Faculty of Classical and Modern Philology was proposed by the German Studies department at a faculty meeting on 18th June 1991. As a result of preliminary discussions with diplomatic officials from the embassies of Denmark and Sweden in Bulgaria, the idea of introducing an academic discipline of Scandinavian Studies gained substantial support and the Sofia University representatives were firmly assured that help would be provided (mainly native-speaker lecturers, textbooks, scholarships for lecturers and students in the respective countries). Later, at a meeting held on 20th Nov 1991, the Academic Committee voted unanimously in favour of the suggestion of the Dean of the Faculty of Classical and Modern Philology that a Scandinavian Studies programme and a Department of Scandinavian Studies be established. Professor Boris Parashkevov, a noted linguistics scholar, well-known in Bulgaria and abroad, who is also an excellent translator of fiction and scientific literature from German and Finnish, was elected head of Department. The first class of students was admitted in the academic year 1991/1992 after passing an exam in English or German. 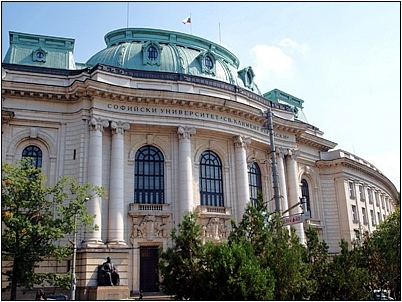 In 2000 pursuant to a decision of the Academic Committee concerning the consolidation of several departments of the Faculty of Classical and Modern Philology, the Scandinavian Studies Programme was transferred to the Department of German Philology, one of the oldest and most prestigious departments in the system of Bulgarian education. Thus, a new Department of German and Scandinavian Studies was formed. Since the autumn of 2008 the Department of German and Scandinavian Studies has been headed by Assoc. Prof. Reneta Kileva, PhD, a specialist in German Studies. Until 2011 the Scandinavian Studies Section of the Department was led by Professor Vera Gancheva, one of the founders of the programme and a key figure in its history. At present, the programme is headed by Assistant Lecturer Antonia Gospodinova, PhD. In the autumn of 2002 the Scandinavian Studies Section celebrated its 10th anniversary; on that occasion, its lecturers and students attained achievements that were highly appreciated in academia as well as in the general public in Bulgaria. On the 20th anniversary of the Section, an international conference entitled "Bulgaria and the Nordic countries – paths to understanding" was organized, and a number of prominent scholars and artists from Bulgaria as well as the Nordic countries participated. The 25th anniversary of the Section is being marked by means of a series of events throughout 2017.
. . . When you ask the question “Where have you studied?” and the answer is “At the University”, noone asks more questions because for any Bulgarian the University is one – with a capital letter – and that one is Sofia University “St.Clement Ohridski” . . .